As we all know, technology keeps improving each and every day. At the same time, we are increasingly dependent on it as time goes by. Communication technology, in particular, has become a standard part of our everyday lives, and that especially applies to business purposes. One very prominent technology in that regard is a VoIP Phone System. This concept of sending and receiving phone calls by using special IP networks has taken the world by storm. Nowadays, they’re commonly present in many businesses (both big and small ones). Even mom and pop stores are adapting to it. In this article, we will give you a definition of the VoIP Phone System, we will describe how it works, and we will provide some tips on how you can choose the best solution for your own business to minimize your cost and maximize your profit. We will also focus on VoIP Phone Systems that are made for small businesses. So, if you want to know more about this amazing concept and if you need advice on how you can get the most appropriate model for your small-scale business, keep reading! The definition is very simple – according to SBA (The Small Business Administration), any company that has less than 500 employees is, technically, a small business. However, we should also point out that different industries have different size standards. 500 employees may seem a lot at first, but in some cases, even a company that has 1500 employees can also be classified as small (depending on the industry). So, as you can see, there are some exceptions, but the general definition remains unchanged – if your company has less than 500 employees, it fulfills the basic “small business” criteria. But it’s much more than that, defining the number of employees does not really represent how big or small your business is. In our term, turn over of profit or revenue generate is a key performance too. According to the official statistics, men own nearly 52% of all small businesses in the US whereas women own around 28% in total. 17% of all small businesses are owned by male and female partnerships, and only 3% of businesses are publicly owned. Men usually own product and technology-based businesses, while women typically own service-oriented businesses. What is a business VoIP Phone System? Now it’s time to take a look and see what VoIP Phone System really is. But, first of all, what is VoIP? VoIP stands for “voice for IP” (it’s quite self-explanatory, isn’t it?). It’s a system that uses special IP networks to generate both outgoing and incoming calls. During this process, the phone will effectively convert the analog audio into a digital one. After that, the format can be transmitted via the Internet so that the phone can convert the incoming signals to basic phone audio. As you can see, VoIP phones offer so much more than the regular analog phones. Their functionality is slightly superior compared to basic phones as well. However, all of that comes with a cost – they consume way more resources than traditional models, as every call is generated online. Nothing is perfect in this world, but we can assure you that these phone systems are absolutely worth every penny. There are two basic VoIP phone systems on the market – hardware-based VoIP systems and software-based VoIP systems. The first type is very similar to traditional cordless telephones. They have plenty of different features that range from call transfers all the way to multi-party call sessions. These phones can even send and receive images in true HD quality. Meanwhile, the second type is, basically, a software client that you can install on your computer or even a smartphone. This system acts as a regular phone handset and you can use it anywhere you like. So, how does a business VoIP phone system differ than the home VoIP? In our sense, we would suggest personal usage to go with a cell-phone. It’s pretty much can cover all your regular usage and needs. As for businesses, we need to take advantage and fully utilize those advance features offer from business VoIP solution. We need our business to be professional, manageable, expandable and flexible. Most of all, it will not broke our bank when we go down that route. What to Look For in a small business phone system? Getting the right VoIP phone system can be very tricky as there are many different factors that you need to consider. These are the 5 crucial concepts that you should pay attention to before you get into any VoIP Phone System. 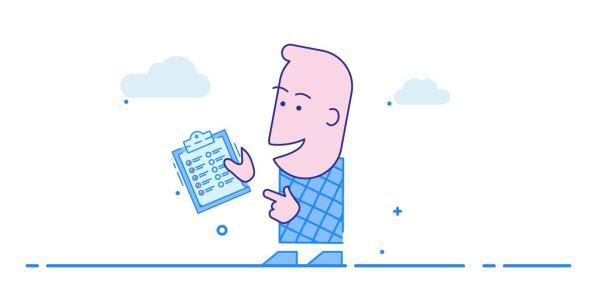 Make sure you get a tick on those 5 criteria that we’ve listed out for you here. The most important thing that you need to look into is the connection itself. First of all, you need to determine whether you want VoIP connection or a basic landline. A VoIP system uses your own internet connection, whereas the landline system uses the copper wires of your telephone. 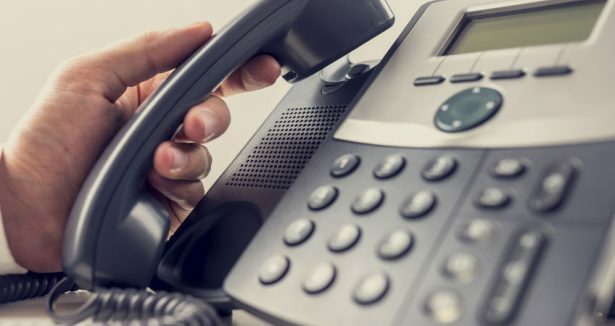 We should note that landline systems are very dated nowadays, so if you want a modern solution, you should definitely choose a reliable VoIP system. Did you know more than half of household in the US had ditched landline phones. From Source. Not only are these systems effective, but they are cheap as well. Basically, in the long run, you will save a lot of your money – that’s the key point. According to according to a survey from the National Center for Health Statistics, an arm of the Centers for Disease Control and Prevention, more than 53.9% of the US household rely on cellphones or mobile phones alone. That’s not a problem for personal usage, but can you put stake in your business where it require professionalism, stability and authority? That’s the million dollar question you need to answer yourself! Hosting possibilities are the next thing you have to consider. You have two different options – you can choose between providers that offer cloud hosting (hosted) and providers that offer on-premise hosting. Check out this Hosted vs On-Premises comparison chart which we think might be useful for you. While most companies provide only one of these options, some companies provide both. However, on-premise hosting is highly dependent on physical resources and equipment that you are housing within your business. We believe that cloud hosting is a much better investment and that’s the solution that we would choose right now. But, if you already have a landline system implemented, you will have to choose the other option. VoIP systems don’t have this kind of problem – they are compatible with both on-premise and cloud hosting. Of course, we can’t talk about the best business VoIP systems if we don’t include prices into the equation. Still remember our early quote of “not breaking the bank when doing so”? Cloud hosting easily beats on-premise hosting in this aspect as well. As you are not paying for any resources or the installation itself, you will only spend about $50 on a monthly basis (that’s the cost of a monthly fee). On the other hand, the costs are much greater if you choose on-premise hosting. You will pay for the installation, equipment, and even the monthly fee upfront. 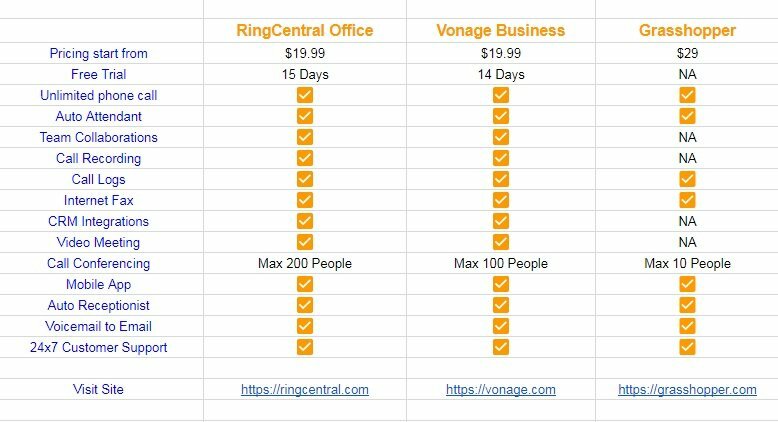 Take a quick look at a comparison chart that are prepared by Ringcentral. We highly suggest you to download the research from Forrester Consulting on the ‘Total Economic Impact of RingCentral’ for your own consumption and study. DOWNLOAD HERE. You should certainly go down the cheaper route and save your money along the way. The next thing we need to consider is the features themselves. The more features your VoIP Phone System has, the better for you. Some options that you should certainly look into include voicemail, call logs, missed call notifications, and automated assistants. It might not be in use right now, but it’s always better to get ready ahead rather than needing them latter on unprepared. Most of the competitors are offering almost the same features ~ 40 in standard. You should however take a closer look into those features that you think that you might be needing them or in heavy use. The last factor that we need to take into account is mobility. You should find a provider that can offer specialized mobile apps that allow you to tap into your business directly from your smartphone. With these apps, you can send and receive messages from any mobile device as well. Mobility is the key criteria for your business to be flexible and expandable. 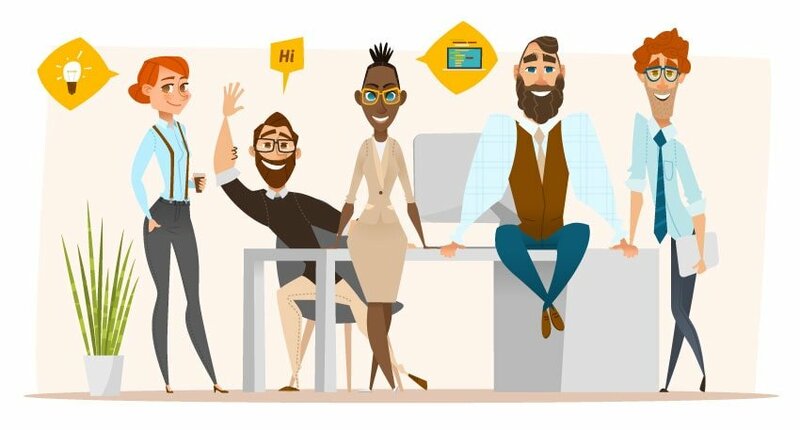 A smartphone on hand and you or your workers can work from anywhere, anytime without the extra cost. As you can see, the bottom line is that your business VoIP Phone System should be as mobile as possible. There are several major reasons why VoIP Phone Systems are the best solution for your small business, and we will note 3 of the most important factors here which will specifically improve or enhance your existing small business model. 1. First of all, you can minimize your costs quite a bit if you get a VoIP system. To get a more precise calculation on the cost saving, click on the ROI calculator here. These phones are slightly cheaper than their traditional counterparts, and they offer so much more. No matter how you look at it, the price-benefit ratio is obviously in favor of VoIP Phone Systems. 2. Another huge advantage of these phone system is that they have outstanding scale-ability and mobility. If you wish to move your business to another location, you don’t need to get new phone lines – the only limitation comes from the bandwidth itself. At the same time, your clients can reach you no matter where you are, as the physical location of your company is completely irrelevant in this case. 3. Lastly, we should also point out that you can easily integrate with other applications as well. For instance, you can easily combine CRM software with these phones in order to record your call information and to improve the basic caller ID feature. 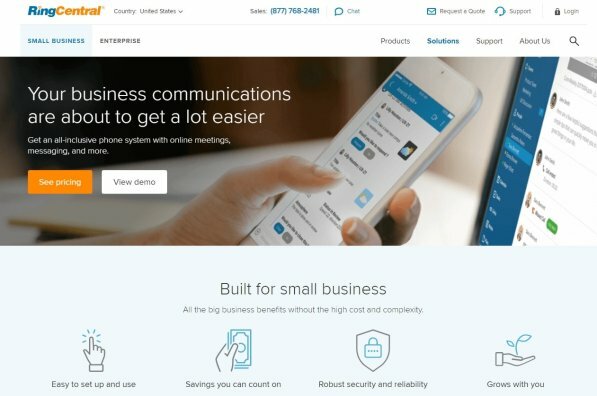 To wrap up our small business VoIP phone system guide, we will give you a short overview of three VoIP providers that we would recommend to any small business owner. This provider is a great solution for anyone who wants a basic solution for their VoIP Phone System. Their services are very affordable, and they only cost $19.99 per month (for a single user) for a starter. They offer cloud hosting, and they have quite an avid number of features to offer. They also provide unlimited calls for Canada and the US, Microsoft Office integration, and mobile apps for Blueberry, iOS, and Android. Our RingCentral Office review will discuss how it actually helps in your business. You should certainly consider this provider if you want a simple solution for your business VoIP Phone System. Unlike the previous provider, Vonage Business is a more intermediate solution. Previously known as Vocalocity. If your small business is “bigger” than typical small-scale businesses, you may want to give this provider a try. They offer 3 pricing plans for their Business Cloud Plans, starting from $19.99 up to $39.99 per line per month. They offer unlimited calls to Canadian and US residents as well, but that’s not all – they also provide other cutting-edge features such as advanced call forwarding, three-way calling, and 411/911 calls. Even if you decide to give another provider a try, Vocalocity or Vonage Business certainly deserves your attention. Grasshopper is more to a virtual pbx in our sense, but it’s pretty much the best virtual VoIP Phone System that you can buy right now. If you want an all-around solution for your small business, look no further! The unit comes with plenty of different features that can satisfy any business owner especially solopreneur. From fax machine support to e-mail notifications, Grasshopper is covered with everything. You can even send a personal greeting for each extension, which is not something that we commonly see in many other phone systems. Overall, if you’re willing to invest in a good VoIP Phone System, you won’t find a better solution than this one. 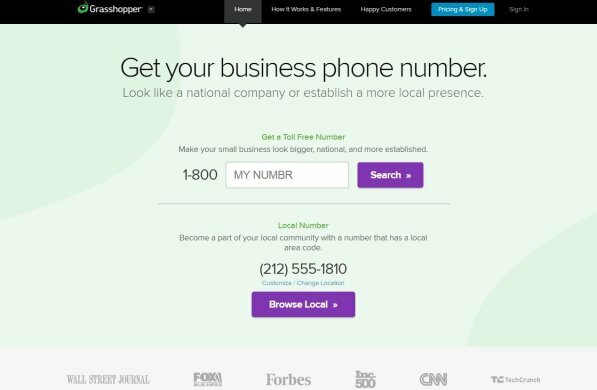 Their pricing is higher than the two competitors above with the lowest starting from $29 per month for one number, but you get 3 extensions for that. If you want to know more details about them, check out our Grasshopper review. Above is a simple chart that I’ve make for your reference in comparison of the 3 best small business phone system that we recommended. You can go to https://docs.google.com/spreadsheets/d/1PsvxkPb0Mog_CVnjDnYagYJTu9ihg8j-VF2Waq-87cM/edit?usp=sharing for more details. In the end of the day, it all boils down to your requirement and how you want your business to be presented.